Melbourne’s international reputation for attracting and delivering incentive reward programs for the Asia- Pacific market was strengthened with the arrival of Hong Kong incentive group, AIA Hong Kong, into Melbourne and regional Victoria this week. A major coup for the state, approximately 2,400 international delegates will land in Melbourne from Hong Kong to take part in a touring program across Victoria from 10 – 13 April. 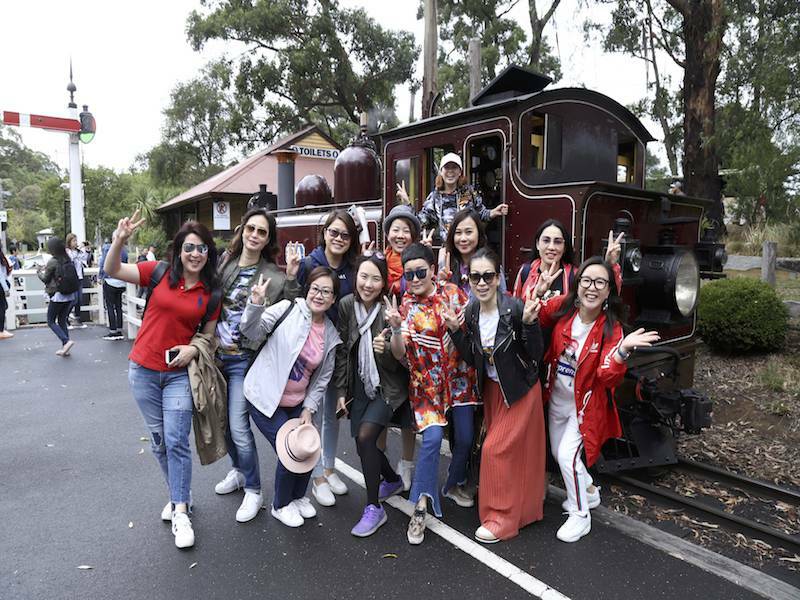 In Melbourne the group will visit Queen Victoria Market, South Melbourne Market, the Tramcar Restaurant, Brighton Beach and Royal Botanic Gardens Melbourne. On the regional leg of their experience they will have the option to visit the Mornington Peninsula, Yarra Valley, Ballarat and Phillip Island. Minster for Tourism and Major Events, John Eren said the event and tour will provide a welcomed boost to local and regional economies across the state. AIA Hong Kong is the largest publicly listed pan-Asian life insurance group. Incentive travel programs such as this are designed to motivate and recognise employees for outstanding business performance, and Melbourne Convention Bureau (MCB), is tasked with securing these lucrative travel programs for Victoria. In 2016/17 financial year MCB with the support of the Victorian Government secured 158 incentive events which delivered $95.5 million in economic contribution for Victoria. Karen Bolinger, Melbourne Convention Bureau CEO said Melbourne is among the top three cities for incentive groups visiting Australia, offering a diverse range of experiences that can’t be found elsewhere. “Incentive groups choosing Victoria are savvy travellers who are moving away from iconic attractions and seeking more immersive and culturally enriching experiences, which our state offers in spades. “We are fortunate that Melbourne and Victoria have a depth of character that can not be replicated elsewhere, which is helping us to attract these lucrative incentive groups,” Ms Bolinger said.